British Expertise International (BEI) is a member-based organisation supporting UK-based companies serving the full infrastructure value chain, from design and planning through to project delivery, all aspects of engineering and construction. In addition, BEI operate a specialist focus on development aid covering the full range of sectors within international development. BEI supports members to understand international markets, identify, assess and secure business opportunities internationally through a wide range of activities, including networking events, sector-focused forums, bespoke international market intelligence, and demand-based trade missions. BEI has successfully delivered this unique focus, working both through our proprietary networks and alongside the UK government and other stakeholders, for over 50 years. We deliver market-leading knowledge and opportunities through our knowledgeable team working closely and pro-actively with members. Our membership ranges from smaller specialist consultancies to world- leading engineers and constructors. Our members represent some of the best UK-plc capability operating internationally. Our programme of regular meetings and events, over 100 per year, focusses on the markets and sectors you operate in, or would like to. 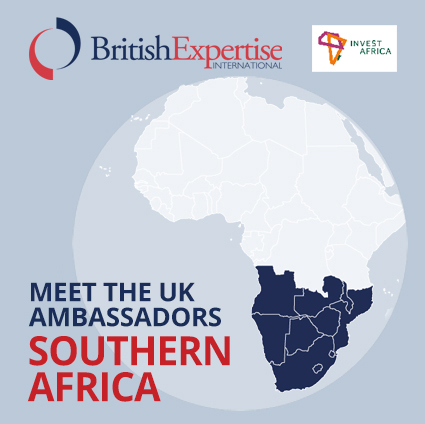 We lead high profile missions internationally, both independently and in partnership with the Department for International Trade. We disseminate targeted leads for potential business from all over the world across a whole spectrum of sectors and disciplines. Approaching overseas markets can be difficult, we can provide our knowledge on the countries and regions in which you work. We can help with debt recovery, finding staff, and with problems encountered in the short listing and selection process for project work. We will act robustly on your behalf when requested and when a pattern emerges we will act for a group in seeking a policy change. Recognising and celebrating outstanding international achievements. The Char Development and Settlement Project Phase IV (CDSP IV) has brought stabilisation to the Char Lands of Bangladesh, where hostile environments terrorise local farmers and jeopardise the wellbeing and lives of those who live in this region. CDSP has transformed the landscape into a functioning and sustainable homeland for 28,000 households as well as sparking gender development initiatives for women. Groupama Stadium is designed as an architectural focal point for a new civic destination. The massive 53.7 hectare canopy roof reflects the local forest canopies and extends out over the crowd. The uses for this stadium are extremely diverse ranging from the annual Festival of Lights in Lyon to the UEFA Europa League. Landell Mills supported a project aimed at improving access to water in Afghanistan. The new system would provide a fair water distribution method to individuals. This project played a significant role in sustaining the flagship industry of agriculture at a time when the country was experiencing a spike in population. Mott MacDonald supported the process of engineering and repairing infrastructure of Malawi as well as developing institutional capacity for planning and monitoring, rehabilitation of catchments, development of alternative rural livelihoods. This project was done to support the surge of the national population of Malawi, which was projected to double by 2040.